When you request information from Fields in Trust, sign up to any of our services or donate funds to us, Fields in Trust obtains information about you. This statement explains how we look after that information and what we do with it. 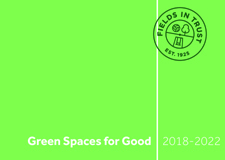 Fields in Trust champions and supports our parks and green spaces by protecting them for people to enjoy in perpetuity. Because once lost, they are lost forever. We take your privacy seriously and take care to ensure we always keep your data safe, only for as long as is needed and that it will only ever be used for the purposes for which we collect it. This policy details our promises to you and your rights in regard to your personal data. If you do not agree to this policy please do not use our services. You can also view our Accessibility Policy for using the Fields in Trust website. 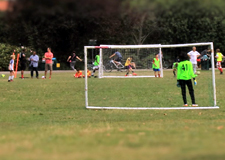 Fields in Trust, henceforth referred to as ‘we’ or ‘us’, is the operating name of the National Playing Fields Association, founded in 1925 and incorporated by Royal Charter. Our registered charity number is 306070 and registered company number is RC000370. In Scotland our registered charity number is SC040357. Our registered head office is at Unit 2D Woodstock Studios, 36 Woodstock Grove, London, W12 8LE. We also have offices in Scotland and Wales located at The Circle, 4-6 Staffa Place, Dundee, DD2 3SX and Sport Wales National Centre, Sophia Gardens, Cardiff, CF11 9SW respectively. 2. What data will we collect? We will never collect more data than is necessary for the purpose for which you have provided it. Any data that is unnecessary for the purpose for which we have obtained it will be deleted. We will collect your data in a number of ways. In the majority of cases this will be when you provide it to us directly by, for example, completing application forms, correspondence, registering for campaigns or subscribing to our e-bulletin. We may also collect your data when you use our website or when you give third parties, including social networks, permission to share your data with us. The type of data we collect may include, but not be limited to, name, postal address, email address, telephone number and IP address. 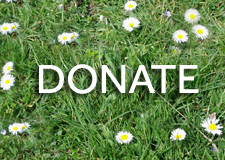 Our online donations platform is hosted by the Charities Aid Foundation (CAF) who specialise in secure online payment processing. They pass some personal information to us to aid processing or your donation but we will never receive your card information. 3. How will we use your data? We will only ever use your data for the purpose, or purposes, for which you have provided it. These purposes may include, but not be limited to, offering or providing services, keeping records and communicating with you. The activities for which we process your data may include, but not be limited to, ensuring the ongoing protection of parks and green spaces subject our protection, dealing with ongoing management issues relating to protected sites, responding to queries and providing support to parks professionals and users, fulfilment of our Friends of Fields in Trust membership product, delivery of campaigns, delivery of our e-bulletin and processing of donations. There are a number of different legal bases under which we are able to process your personal data. We may process your personal data because we have a legal obligation to do so, because it is necessary for performance of a contract, because you have consented to it, or because we have a legitimate interest to do so that does not harm any of your rights. Your personal data will be processed by employees of Fields in Trust who have received training in data protection and are subject to ongoing monitoring and evaluation in their processing of personal data by our Data Protection Lead. Your personal data will be stored securely on our computer systems and/or on paper records. We take all reasonable steps to prevent accidental or unlawful destruction, loss, alteration or unauthorised disclosure of, or access to, your data. 4. How long will we keep your data? We will never retain your data for longer than is necessary for the purpose for which it has been provided. Where you have opted in to receiving email marketing communications from us we will retain your personal data until such time as you withdraw consent. We will provide you with an opportunity to opt out of receiving future email marketing communications each time we contact you. In some instances we are required to hold information for set periods of time to meet statutory requirements, for example the processing of GiftAid. If you withdraw consent or request not to be contacted by us, we may still hold limited personal data to ensure we can honour your request, unless you request to be forgotten completely. If you take part in any campaigns, we will generally hold your data for one cycle of the given campaign. Registration for a Fields in Trust challenge event charity place – up to one year from date of event. Registration of a Have a Field Day event – up to one year from date of event. 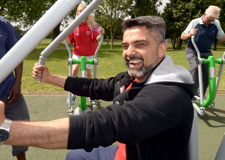 Submission of a nomination for UK’s Best Park – up to one year following conclusion of Award. 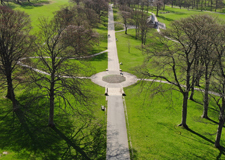 Casting of a vote for UK’s Best Park – up to one month following close of voting. We will never share your data with any third parties unless we are legally required to do so or receive your consent to do so either at point of data collection or subsequently. You can set your browser not to accept cookies and information is provided in our Cookies Policy on how to do this, but please be aware you may limit some functionality of our website by doing this. Further details are provided in our Cookies Policy on the cookies our website sets and the information which we and others may collect through cookies. To see a copy of the data we hold on you (the right of access). We will provide this to you within one month of your request. If you would like to see a copy of your data, please contact us. To correct the data we hold on you if it is incorrect (the right to rectification). To ask us to remove all personal data we hold about you (the right to erasure). To ask us to stop using your personal data for a specific activity or for all activities (the right to restrict processing). To receive a copy of your data and reuse for your own purposes (the right to data portability). To object to us using your personal data for direct marketing purposes (the right to object). To be informed about and refused to be subject to automated profiling or decision marking (the right to review automated decision making/profiling). To lodge a complaint regarding our processing of your personal data with a supervisory authority, for example the Information Commissioners’ Office. We will aim to respond to your enquiry as soon as possible and always within the statutory requirement of one month of receipt. If you are not satisfied with the response you receive from us or believe we are processing your personal data unlawfully you can complain to the Information Commissioner’s Office or the Fundraising Regulator. This policy is kept under regular review and was last updated in March 2019.